with state of art instruments for Spray galvanizing - Metallizing we are one of the leading provider of Spray galvanizing - Metallizing services and equiment with certifications. Our company has achieved laurels in providing Spray Galvanizing Service. We execute this Spray Galvanizing Service at reasonable cost. As per the growing necessities of our patrons, we are indulged in rendering Industrial Spray Galvanizing Service. This service is accomplished in diverse forms that meet on customer’s demand. We render these services at nominal prices. 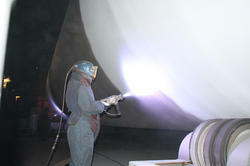 Being the leading names in the industry we are involved in providing Spray Galvanizing Service to our clients. It provides by our trained persons. Our services are highly appreciated among our clients due to their reliable nature and competitive prices. We provide these services to various companies in customized options. We are counted amongst the foremost service providers, engaged in offering Industrial Spray Galvanizing Services at very affordable price to the clients. Zinc sparying is carried out for Sand Blasting process by using zinc wire. The method used is gas fusion, The Thikness obtained is this process is carried out only after Sand Blasting process. 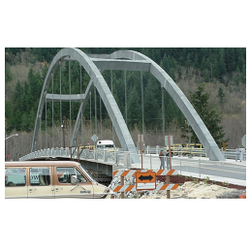 Zinc Spray Galvanizing provides best anticorrosive property in high Corrosive environment. The Cold Spray Galvanizing is the process of zinc coating to steel or iron in order to prevent rusting. We offer spray galvanizing services for hot dip galvanized products. This ensures the maximum galvanization of the components.